Our corporate office in Montego Bay, Jamaica serves as a support center for Margaritaville Caribbean’s Group’s 24 brands and more than 1,200 crew members. We hire innovative employees who enjoy the challenge of supporting a growing organization. We are seeking dedicated professionals in Accounting, Finance, Human Resources, IT, Marketing, Purchasing, Development, Recruiting and Training. Before applying please take a moment to review and understand our Vision, Mission and Values. We find team members who embrace and support these have the greatest opportunity for success. Margaritaville Caribbean Group is seeking a creative and result-driven individual to fill the position of Director of Procurement. Responsible for the procurement of all goods for Margaritaville Caribbean venues, they are an acute negotiator who will observe the total picture of the procurement and purchasing departments and make quality decisions regarding the purchasing of items for the company. 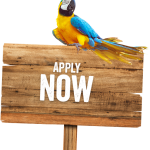 Margaritaville Caribbean is seeking a highly qualified Purchasing Manager. The chosen candidate will report to the Director of Procurement and will be responsible for the following duties. The Director, Creative Services is responsible for managing and creating all Brand Marketing Tools & Programs. They are tasked with creating, designing and managing the workflow of projects.